The compelling new novel from the worldwide bestselling author. Kenny's Department Store, with its handsome Edwardian façade, is the jewel in Ardagh town's crown. TV presenter Ingrid Fitzgerald has watched her husband David, Kenny's charismatic owner, pour his heart and soul into the family store, making it the epitome of boutique chic. She's juggled family life and her glittering career admirably. Now, as their children fly the nest, Ingrid discovers a secret that will shake her world to its very foundations. Natalie Flynn shares a flat with Ingrid's daughter, Molly. As love blossoms in her life, motherless Natalie starts to ask questions she has never dared to before. But will they help her make sense of her life and who she really is? Charlie Fallon is a passionate and motivated Kenny's employee who adores her husband and son, but her eccentric mother seems bent on wrecking her life. Now it's time to fight for her own happiness. Free spirit, Star Bluestone, who handcrafts fabulous tapestries for Kenny's, is the woman with the knowledge to help them all. Star knows from experience that the important things in life must be nurtured and treasured. She harbours many secrets and understands that the chance for real joy comes only once in a lifetime... 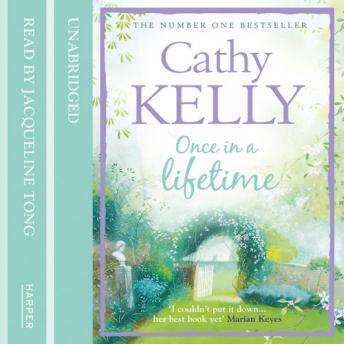 Warm, captivating storytelling from the heart - treat yourself to some Cathy Kelly time.